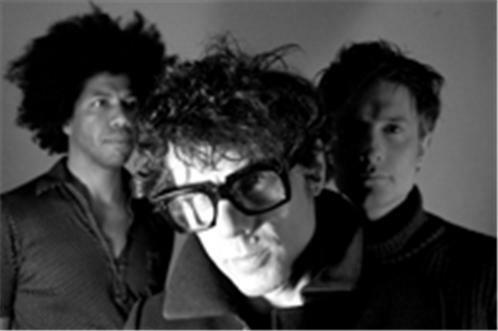 German post-techno duo Mouse on Mars is among a growing number of electronic music groups dabbling in complex, heavily hybridized forms that include everything from ambient, techno, and dub to rock, jazz, and jungle. The combined efforts of Andi Toma and Jan St. Werner (of Köln and Düsseldorf, respectively), Mouse on Mars formed in 1993, reportedly when Werner and Toma met either at a death metal concert or a health food store. Working from Werner's studio, the pair fused an admiration for the early experiments of Krautrock outfits like Can, Neu!, Kluster, and Kraftwerk into an offbeat update including influences from the burgeoning German techno and ambient scenes. A demo of material found its way to London-based guitar-ambient group Seefeel, who passed it on to the offices of their label, Too Pure. MOM's first single, "Frosch," was released by the label soon after and was also included on the debut album, Vulvaland. 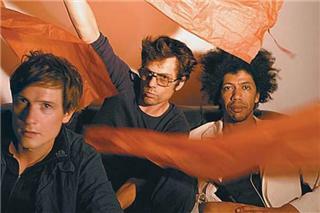 Immediately hailed for its beguiling, inventive edge that seemed to resist all efforts at easy "schublade" (an even less flattering approximation of the English "pigeonhole"), Vulvaland was reissued in 1995 by (oddly) Rick Rubin's American Recordings label, which also released their follow-up, Iaora Tahiti, soon after. More upbeat and varied than their debut, the album made some inroads into the American marketplace, but the group's somewhat challenging complexity and steadfast refusal to pander make widespread popularity unlikely. They returned in 1997 with three different releases -- the EP Cache Coeur Naif, the LP Autoditacker, and the vinyl-only Instrumentals. Another vinyl-only release (Glam) appeared in 1998, and was followed a year later by the "official" follow-up to Autoditacker, Niun Niggung.